A 750 mounted on a looped Strap is shown. A door handle is used as the anchor point for the Strap. With your Strap looped over your shoulder, fix the loop in or on a suitable anchor. Face the anchor and move away from it to take any slack out of the loop and gently engage your Point. 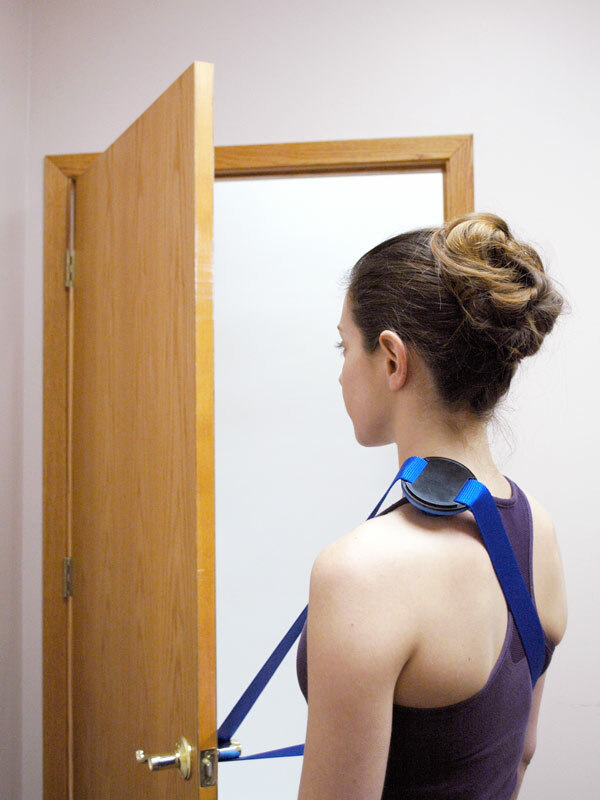 Relax your upper-back, shoulders and neck. With one foot ahead of the other, lean away from the anchor to let your body weight generate the required pressure. For more pressure, use your legs to push your torso away from the anchor. To exit, release the Strap from the anchor and open it before removing it from your shoulders. Avoid ducking or stepping out of closed, anchored Strap.